Saiyah brings you a soft adventure trip to Dagri Bangla from Nathia Gali. A lush green track is ideal for hikers and adventure lovers with soft trekking and camp experience. We will start our walk from Nathia Gali and crossing Miranjani Peak, we will reach Dagri Bangla rest. 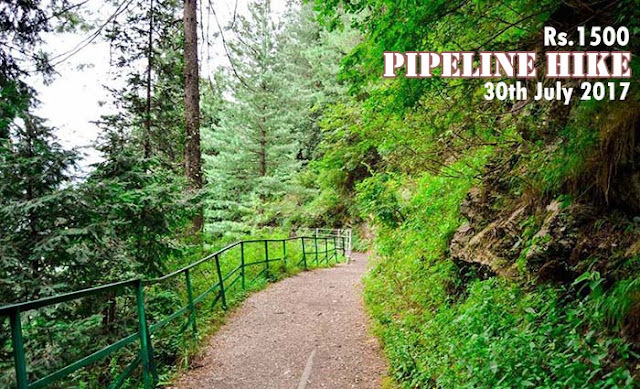 We will spend a night there in serene atmosphere and next day return to Nathia Gali to drive back to Islamabad. We depart early and drive to Besham via Haripur, Abbottabad and Mansehra. After a short break at Besham, we resume our drive on Karakoram Highway, along River Indus. We will make photo stops at Shatial Rocks with ancient graffiti's on it. We reach Chilas and transfer to hotel for overnight. After breakfast, we start driving to Raikot Bridge and onwards driving on KKH, we make a few photostops at Thalechi with Nanga Parbat viewpoint offering breathtaking views of snow covered massif. The next stop will be at the Unique Point where three mountain ranges, Karakoram, Himalayas and Hindu Kush meet, near the confluence of Indus and Gilgit Rivers. We bye pass Gilgit town and keep our drive on KKH. En route, we cross several villages of Hunza & Nagar valleys and make a photo stop at Rakaposhi view point. We take off from KKH and reach Karimabad where we transfer to hotel for overnight stay. Ultar, Hunza Dome, Bublimating, Spantik and Diran are famous peaks surrounds us at Karimabad, while Rakaposhi at 7788m dominates the whole panorama. At Karimabad, we visit Baltit Fort Museum & Altit Fort and evening is free to explore the village and bazaar. Getting up early in the morning will enable to witness unique natural phenomena of sunrise at Rakaposhi and other peaks ( optional ). After an early breakfast, we will make an excursion of Khunjerab Pass via Atabad Lake, Gulmit, Passu and Sost. After early breakfast at hotel, we drive to Raikot Bridge on KKH and onwards to Jail / Yail ( Tato ) by jeeps on one of the most thrilling routes in North. From Yail, we start hiking / pony riding to Fairy Meadows, one of the loveliest places in world. It is a hike of about three to four hours to the legendary place Fairy Meadows, which is truly named with unsurpassed views of Nanga Parbat. At Fairy Meadows comfortable standard accommodation is available besides camping. Fairy Meadows is the ablation valley of Raikot Glacier at the foot of Nanga Parbat - 8125m, the lone giant of Himalayas and the second highest in Pakistan after K-2. A soft trek of two to three hours, walking through the dense pine forest and later through birch trees and along shallow streams, takes us to Beyal, a summer settlement of shepherds with stunning views of Nanga Parbat - 8125m. If the track is open, we will make an optional hike to base camp crossing tails of glaciers with well identified track. At base camp, a monument had been erected in the memory of climbers died on the mountain. After a packed cold picnic lunch at base camp, we will return to our campsite at Fairy Meadows and enjoy a unique and memorable night at the foot of Nanga Parbat and in the land of fairies with bonfire. After an early breakfast, we start walking down Jail and drive to Raikot Bridge and onwards driving on KKH and reach Chilas.